How to optimise your fleet when requirements change! “In a situation of changing requirements, is your forklift truck fleet flexible enough for optimally supporting your material handling?” Several times a week I hear colleagues discussing with our customers about how to optimise fleets when requirements change. My take on this is that at workload peaks there may be a shortage of forklift trucks – or they may be of the wrong type – while at idle periods redundant forklift trucks stand still at unnecessary cost. This is why you should consider renting forklift trucks. Actually, in many cases it’s better for you to rent the trucks rather than to tie up capital. A flexible rental agreement tailored to your specific needs, gives you complete control of trucks cost and investment, regardless of how your business and requirements change. Consider different rental agreements to suit your business, large or small. And if your business needs change, then your financing contract should be updated to reflect your new situation, at any time during the contract period. Besides the flexibility for changing needs due to market volatility or seasonal fluctuations, there are other benefits of a rental contract. For example, when updating an ageing fleet, a financing contract can offer you a cost-effective and flexible alternative to an expensive and risky replacement plan. Are you facing rising operating costs and increased downtime? 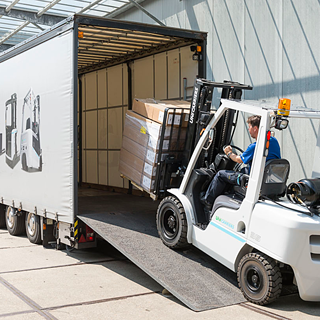 In many cases, running costs are inflated by using the wrong forklift truck for your situation, so you should put effort into finding the right vehicle. Finding the right truck is also important when you are changing a layout, handling system or goods flow in your warehouse and you need to fine-tune operations. With a financing agreement, you will get the flexibility to try out different trucks and find the one that best matches the need of each area in your warehouse. I really think you should consider a rental agreement instead of owning your own forklift truck fleet. This may be the far most cost-effective solution for your specific business needs! Feel free to leave a comment, or hit the button below to contact us about truck rental.